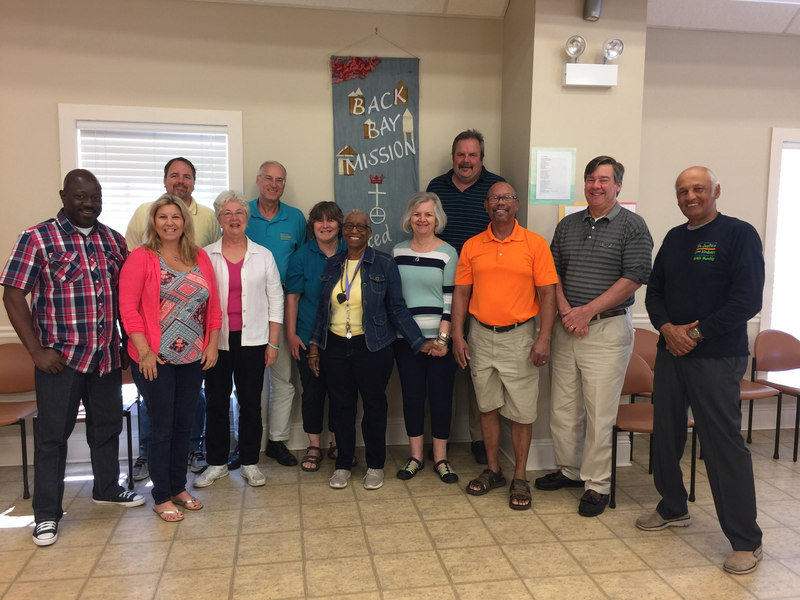 Back Bay Mission is blessed to have a dedicated staff and board of directors. The Back Bay Mission staff brings years of experience and a wide range of expertise to strengthening neighborhoods, seeking justice, and transforming lives. Click here to meet our staff. The Back Bay Mission Board of Directors provides great leadership to our work and represents our clients and supporters. Click here to meet the members of our board. Rev. Alice Graham, Ph.D., is our Executive Director. Alice is a graduate of Spelman College with a Master of Divinity from Garrett-Evangelical Theological Seminary and a Doctor of Philosophy in Pastoral psychology and Counseling from Northwestern University. She is an ordained minister in the American Baptist Church, USA and a certified Pastoral Counselor. She served as Executive Director of Pastoral Ministries Institute in Reston, Virginia, which she co-founded. She has also served a Professor of Pastoral Care and Counseling at Hood Theological Seminary in Salisbury, North Carolina, President of the American Association of Pastoral Counselors, and Executive Director of Interfaith Partnerships (formerly Mississippi Coast Interfaith Disaster Task Force). She joined Back Bay Mission as Executive Director in 2015. Ms. Amanda Roberts is our Administrative Assistant. Before joining Back Bay Mission in 2014, Amanda was a Customer Service Representative at Cable One and the Administrative Assistant in the housekeeping department of the IP Casino. She enjoys attending church, singing, and spending time with her family. She lives in D’Iberville, Mississippi, with her husband and two children. Ms. Shawn Sullivan in our Chief Financial Officer. Shawn is a graduate from The University of Mississippi with a Bachelor’s Degree in Business Management. Before joining Back Bay Mission, Shawn was the Chief Financial Officer and Office Manager at Premier Craneworks in Biloxi, Mississippi. Shawn has a son, Kade, who is currently a student at The University of Mississippi. She was born and raised on the Mississippi Gulf Coast in Ocean Springs, where she currently lives. Mr. Kenney Washington is our Director of Client Services. Kenney has more than 20 years of experience in the social services field. Prior to Back Bay Mission, he served as Client and Community Recovery Specialist Supervisor at the American Red Cross and as a case manager. He holds a Bachelor’s in human services management and a Master’s in education. Mr. Alan “Benji” Benzschawel is our Assistant for Housing Recovery. After spending much of his career in customer service and project management roles in high tech companies, Benji entered the home maintenance field in 2003. In 2005, he started his own property management company. To supplement his income, he also worked for Oshkosh Tent and Awning. He first came to Back Bay Mission as a volunteer in 2006, leading his church group from Appleton, Wisconsin, to Biloxi until he became the Assistant for Housing Recovery in 2014. This fulfilled a lifelong desire to work to make a difference rather than just to make money. He and his wife Pam, both lifelong Wisconsin residents, now live in Gulfport, Mississippi, with their two cats. Their twin sons Nick (a pharmacist) and Nate (who works with international students at a large community college) live in the San Francisco Bay Area of California. Ms. Sarah Boone is our Home At Last Caseworker. A native Floridian, Sarah has lived on the Gulf Coast twice. Sarah is a graduate of Mississippi Gulf Coast Community College and the University of Southern Mississippi. She worked in law enforcement before becoming a child support specialist at the Mississippi Department of Human Services. She is a member of First Baptist Church of Gulfport, and lives in Biloxi with her husband and two daughters. She loves living and serving in this community. Ms. Kirsten Hebron / Day Center Case Manager. Ms. Kirsten graduated from University of Southern Mississippi Gulf Park with a Bachelor’s Degree in Psychology and Master’s Degree in Social Work. She worked for Gulf Coast Mental Health Center for 4 years until she moved to California in 2005. In California, she worked for a non-profit agency as Director of Social Services. She also worked at a mental health agency as Clinician. Kirsten moved back to the Mississippi Gulf Coast in 2017 with her husband and two dogs to be with their families. Ms. Twila Holloway is our Emergency Assistance Caseworker. Twila has long dreamt of working in social services. She earned her GED in a month’s time while working as a caregiver. Afterwards, she earned her Associates in psychology and Bachelor’s in human services and child and family services. She is planning on earning her Master’s in counseling. She lives in Biloxi and has two sons, Denealius and Casious. Ms. Deborah Horn is our Micah Day Center Coordinator. Deborah recently retired from the Mississippi Department of Human Services (MDHS) Division of Family and Children Services after twenty-five years of faithful service. At MDHS, Deborah worked as an Intake Coordinator to ensure that all children and families received the best care possible by directing them to proper contacts and providing resources to help resolve immediate needs. With that said, family is very important. Deborah is the mother of 4 children and grandmother to 14 in addition to one great grandson. She attended Mississippi Gulf Coast Community College where she completed her associate’s degree with honors in Criminal Justice in 2015. Presently, she is a student at University of Southern Mississippi seeking to complete the bachelor’s degree in criminal justice. Mr. Everett Lewis is the Executive Director of the Gulf Coast Housing Initiative. Everett has worked in affordable housing since 1996, when we started on of the first homebuyer education and assistance programs in South Mississippi. He came to Back Bay Mission in 2008. In his time at the Mission, he has overseen the planned development of Bethel Estates, HomePort I, HomePort II, and an acquisition-rehab program. Prior to working in affordable housing, Everett worked in banking for more than 20 years. He holds a Bachelor of Science degree in finance from the University of Southern Mississippi. Ms. Lucy Nettles / Day Center Assistant. Ms. Lucy is a Gulfport native, retiree from Ingalls Shipbuilding after 19+ years, mother of two and grandmother of three. Lucy graduated from Harrison Central High School and studied to be an Auto & Diesel Mechanic at Bailey Tech in St. Louis. Ms. Elizabeth Sandoval is the assistant to our ESG Case Manager. Elizabeth graduated from Mississippi Gulf Coast Community College with an Associate’s Degree in Human Services and is currently seeking a Bachelor’s Degree in Family Relations at the University of Southern Mississippi. She has three boys. Kane is 20 and attends LSU and is also a member of the National Guard. Samuel is 19 and will soon graduate from Harrison Central High School. Aidyn is 6 and is currently in Kindergarten at River Oaks Elementary. Elizabeth is a native of Gulfport, Mississippi. Ms. Loretta Smith is our ESG Case Manager and ACA Navigator. Loretta has worked for more than twenty years in all areas of customer service. She holds a Bachelor’s degree from Alcorn State University and a variety of certifications including being a Certified Application Counselor and a Qualified Individual Assistance Program Specialist from FEMA. She is working on her Masters in Human Science from Capella University. She lives with her German Shepherd mix and loves to bake and make mini-snacks. Mr. Craig Steenkamp is our Associate for Housing Recovery. Born and raised in Durban, South Africa, Craig came to the United States on a soccer scholarship in 1992. He holds a Bachelor of Science degree in psychology, with a minor in education, from William Carey University in Hattiesburg, Mississippi. Before coming to Back Bay Mission, he worked with a real estate investment company development high-end real estate. He joined the Mission staff in 2007. Back Bay Mission is his church and where he belongs. Ms. Mary Tell is our Community Health Worker. Mary has served with nonprofit and faith-based organizations for more than 30 years. She graduated from Plus School of Business in Boston, Massachusetts and attended Mississippi Gulf Coast Community College in Gulfport, Mississippi. She received training from the University of South Alabama and Tulane University Community Health Worker programs. In 2011, Mary retired from United Way of South Mississippi, where she was the Director of Volunteer Gulf Coast. Her concern for the disparity in health care for the poor led her to Back Bay Mission, where she serves as a Community Health Worker. She lives in Biloxi with her husband Richard and dog Paddy. She is the grandmother of two and great-grandmother if two. Ms. Laura Payne is our Community Relations Associate. Laura is a native of Biloxi, Mississippi, and started her career in retail working for companies like Disney, Nike, and The Limited Brands. After 20 years in retail management, Laura entered the nonprofit sector with the Mississippi Gulf Coast Chamber of Commerce. 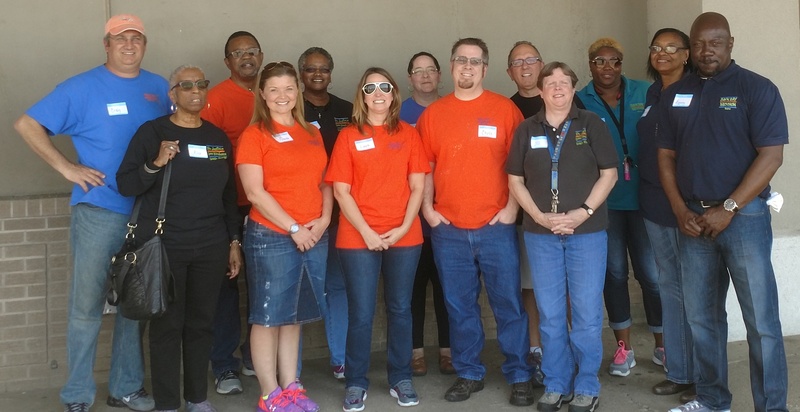 She graduated from Leadership Gulf Coast in 2013 and came to Back Bay Mission in 2015. Laura is also a certified Zumba instructor. She lives in Biloxi with her two very active teenage daughters and two not-so-active small dogs. Ms. Carol Merriman / Church Relations Associate. Ms. Carol is from River Falls, Wisconsin, a longtime member of the First Congregational UCC church in that community. She is retired from Andersen Windows, after nearly 30 years. She has volunteered with Habitat for Humanity for many years, serving on the board of directors for St. Croix Valley Habitat, including being chair for six years. She has also been very involved in volunteering for the church, including Conference Board of Directors, Wider Church Ministries Board, numerous association and local church committees. She has served on the Back Bay Board of Directors and is currently serving on the United Church Camp Board of Directors. Carol has a son and daughter, and five grandchildren, two step-grandchildren and a great-grandson. Mr. Matthew Williams is an attorney with Galloway, Johnson, Tompkins, Burr, and Smith. His primary practice is focused in the areas of First and Third Party Insurance Defense, Trucking and Transportation, Product Liability, Professional Liability, and Construction. A native of Pascagoula, Mississippi, Matthew earned his Bachelor of Arts degree in political science and journalism from the University of Mississippi, and his Juris Doctorate from the Mississippi College School of Law in Jackson, Mississippi. He is a member of the Harrison and Jackson County Bar Associations; the Jackson County Young Lawyers Association; the Russell, Blass, Walker chapter of the American Inns of Court; and the City of Ocean Springs Economic Development Council. Matthew lives in Ocean Springs, Mississippi, with his wife and daughter. He attends St. John’s Episcopal Church. Rev. Jasmine Quinerly, CRA, is an independent Real Estate Salesperson and Appraiser in Houston, Texas, and Minister of Missions at Pilgrim Congregational United Church of Christ in Houston. She holds a Bachelor of Science from Morgan State University in Baltimore, Maryland, and a Master of Divinity from the Houston Graduate School of Theology. Jasmine has served as a volunteer with the Presbyterian Housing Service Center, Mosaic International Missions, Rebuild Houston, and Habitat for Humanity. She lives in Houston. Mr. Brent Johnson is Vice President of Commercial Lending at The Peoples Bank in Biloxi, Mississippi. Brent is a Mississippi native from Ellisville, Mississippi, and holds both undergraduate and graduate degrees in business from the University of Southern Mississippi. He serves in a variety of Gulf Coast organizations. Ms. Crystal Ward Allen has been a Strategic Consultant with Casey Family Programs, a national operating foundation focused on safely reducing the need for foster care, for three years. Crystal worked at Public Children Services of Ohio for 24 years, 13 as the executive director; her early experience included as a juvenile probation counselor in Appalachia, Virginia; adolescent group care in Pittsburgh, Pennsylvania; and child welfare in suburban Minnesota. She is a Virginia Tech Hokie as well as an OSU Buckeye, loves to ride her bike, hike and enjoy music – but most importantly she has two amazing adult children. Crystal is passionate about ensuring every child and youth has someone that is unconditionally crazy about them – thus, strengthening families is a must. Rev. Wilmer Brown is a retired United Church of Christ clergy person who has served as an international partner with Habitat for Humanity, and as vice president for housing and outreach at United Church Retirement Homes, where he developed HUD 202 housing for older adults with limited income. He also serves as a long term volunteer with Back Bay Mission through the United Church of Christ’s Partners in Service program. Wil received his Bachelor in Religious Studies from Elon University and his Master of Divinity from Duke Divinity School. Rev. Broen and his with, Hulen, live at Eden Hills Community, a retirement community of the South Central Conference of the United Church of Christ in New Braunfels, Texas. Mr. Charles Graham is retired from a distinguished career as a financial advisor with clients including LPL Financial in Ocean Springs, Mississippi; AG Edwards in Troy, Michigan; Dean Witter Reynolds in Southfield, Michigan; and ED Hutton in Southfield, Michigan. Charles is a veteran of the United States Navy and earned his Bachelor’s degree from Wayne State University. He has served on a variety of boards, including those of Gleaners Community Food Bank of Southeastern Michigan, Lord is My Help Food Bank in Ocean Springs, the Walter Anderson Museum of Art, and the Mississippi Gulf Coast Foundation. A lifelong resident of the greater Detroit, Michigan, area, Charles moved to Ocean Springs, Mississippi, in 2009. He lives in Ocean Springs with his wife, Priscilla, and their dog, Augustus. Mr. Raymos McMillon is a retiree of Mississippi Power Company where his employment covered 28 years. He held several positions with the company in Human Resources, Customer Services, Marketing, and his final role in Economic Development. He holds a Bachelor of Science Degree in Business Administration from the University of Southern Mississippi in Hattiesburg. Mr. McMillon held several leadership roles in the community as President of the Gulfport East Jaycees, Bay-Waveland Rotary, and United Way of South Mississippi. He is a member of Pleasant Hill Missionary Baptist Church where he serves as President of the Deacon Board. Rev. Liz Nash, Ph.D., is the Association Minister for the Heart of Texas Association of the South Central Conference of the United Church of Christ, serving in this position for Heart of Texas and the former Brazos Association since 2006. Liz has a Master of Divinity from Pacific School of Religion and a Ph.D. in Ethics and Social Theory from the Graduate Theological Union. Prior to going to seminary, she earned graduate degrees in Agricultural Economics and in Statistics at Texas A&M and the University of California, Berkeley. Liz has served on nonprofit boards, done extensive wider church work, and served on academic committees. She and her husband, Reuel, live in Austin, Texas, where they are members of the Congregational Church of Austin. Ms. Mary C. Ruth, raised Congregational (UCC) in Hebron, Connecticut, retired from Elon University as Director of Alumni & Parent Relations and prior to that served as Executive Director of Allied Churches of Alamance County in Burlington NC where she coordinated a Ministries Center that included an Emergency Night Shelter, Soup Kitchen, Adult Day Care, Dispute Settlement Center, Christian Assistance Network and helped manage 900 volunteers. Mary has a Bachelor of Arts from Elon College in Mathematics and Religious Education and at one time worked at the Connecticut Conference of the United Church of Christ. Since 2003 she and her husband, Bill (a retiree of Travelers Insurance Company), have been United Church of Christ Partners in Service long term and short term residential volunteers at church related non profits all over the USA. They have 5 grandchildren in North Carolina and Texas and their home is now at Uplands Village, a CCRC in Pleasant Hill, Tennessee. Rev. Matthew Crebbin has been Senior Minister of the Newtown Congregational Church, United Church of Christ, in Newtown, Connecticut, since 2007. He has served faith communities in New Hampshire, Rhode Island and Massachusetts. He has preached, lectured and taught in faith communities, Seminaries and secular settings across the country. Matt grew up in the San Francisco Bay Area and is a graduate of the University of California at Berkeley where he received a BA in Legal Studies in 1988. He received his M.Div. from Andover Newtown Theological School in 1994. He has served in leadership capacity on a number of local, regional and international organizations including: Rotary International, Habitat for Humanity, U. S. Department of Justice Newtown Victims Grant, Newtown Action Alliance, and various other Advocacy, Health, and Human Services organizations. Matt is married to Martha and they have four children and a black lab. When not doing ministry or transporting his children to their various activities, Matt enjoys playing music, singing, working on endless projects around his house and playing basketball and golf. Mrs. Joyce Bathke was the Chief Administrative Officer for the American Red Cross until her retirement in 2014. She has a BS in Liberal Arts from Washington University and Nursing degree from St. John’s Mercy Hospital. Joyce served on the United Church of Christ’s Wider Church Ministries and Common Global Ministries Boards and later the newly formed United Church of Christ Board. She served as Moderator for the United Church of Christ Missouri Mid-South Conference and currently serving on the United Church of Christ AIDS Network Leadership Team. Joyce is a member of Faith United Church of Christ in Wentzville, Missouri. Rev. Don Longbottom is currently on a six-year term as the Conference Minister in the South Central Conference of the UCC. His responsibilities include the oversight of approximately 72 congregations spread out over Texas and Louisiana, traveling an average distance of around 2,000 miles per month. He has a varied educational background, having graduated from AWC with a degree in Speech and Political Science, completed graduate studies in Public Administration and Advanced ROTC, and also a Master of Divinity degree. In December of 1976, he was ordained to the ministry, and he entered the Ph.D. program at UC Berkeley and Graduate Theological Union in the Fall of 1980. He been involved in a variety of denominations, such as Baptist, Mennonite, UCC, and has spent over 30 years in congregational ministry. Rev. Longbottom has maintained a level of dedication to the field of social justice that he hopes to continue pursuing for many years to come.